Today, I will be posting about the first ever nail art I have done in a really long while. This is a twin manicure that I did up with my nail mail buddy Narmai, from PiggieLuv! Do check out her blog and show her some of your support! She let me choose the design since I am a newbie to nail art. 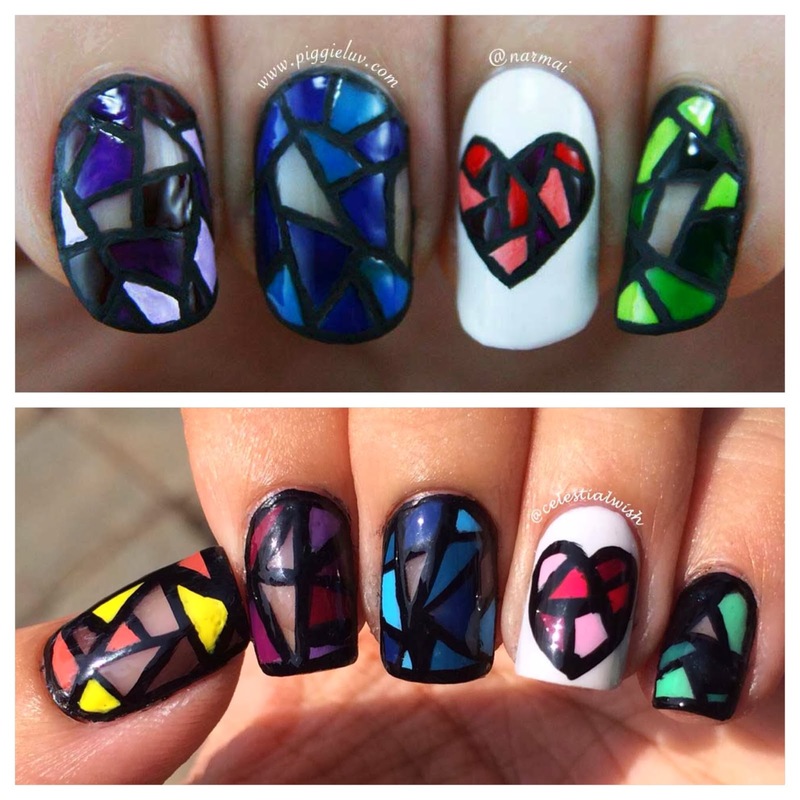 I decided to do stained glass as I was inspired by the twin nails done up by Just1nail & Paintedpolishbylexi . From there, I went on to google for stained glass designs. 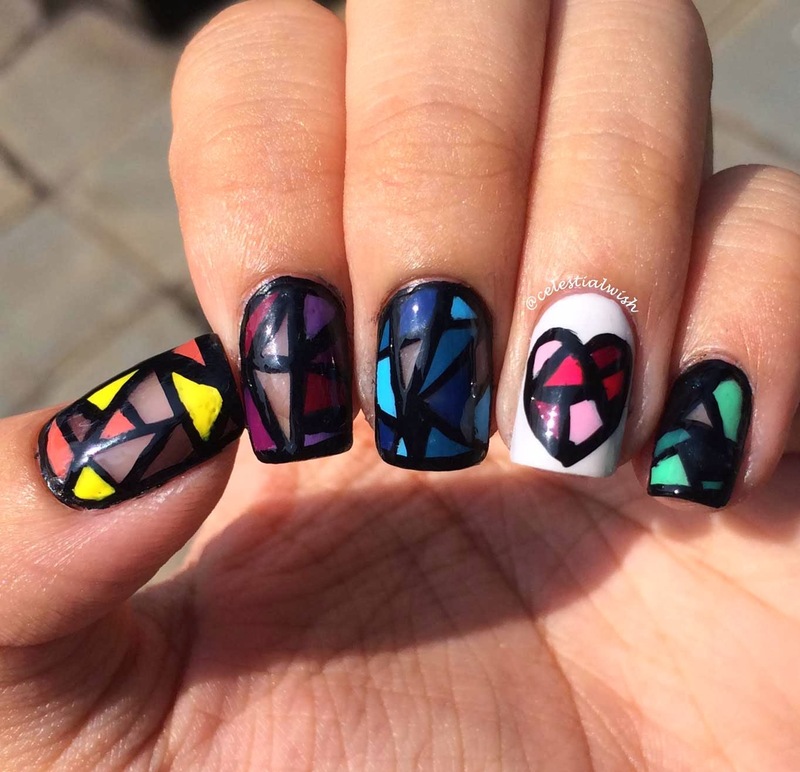 My younger sister helped me search too, and she really liked the stained glass heart nails done by Kay (@twentysixnails) hence, the mix of both. Kay was inspired by another lady, IG @dressedupnails. This is our twin mani that we had done up! As you can tell, Narmai's lines are really thin and neat! I really like what she has come up for her color combination! Escpecially for the red heart! It seems like a very gradual tone for the orangey-red polish she used on her nails! This is my solo shot of my nails! My Stained Glass Mani under the sun! This is my first time using a nail art pen to do my mani, so I got a bit messed up in using the pen. I accidentally used it the wrong way, hence the really thick and black lines. However, I did attempt this stained glass once more on my mum's toes, they came out pretty decent. My mum really liked it. If I had a chance, I will take a photo and post it up! (: She felt that her toes reminded her of the trip to Europe, where she was in Rome churches with my dad and their friends. Brown: OPI's Wooden Shoe Like to Know? 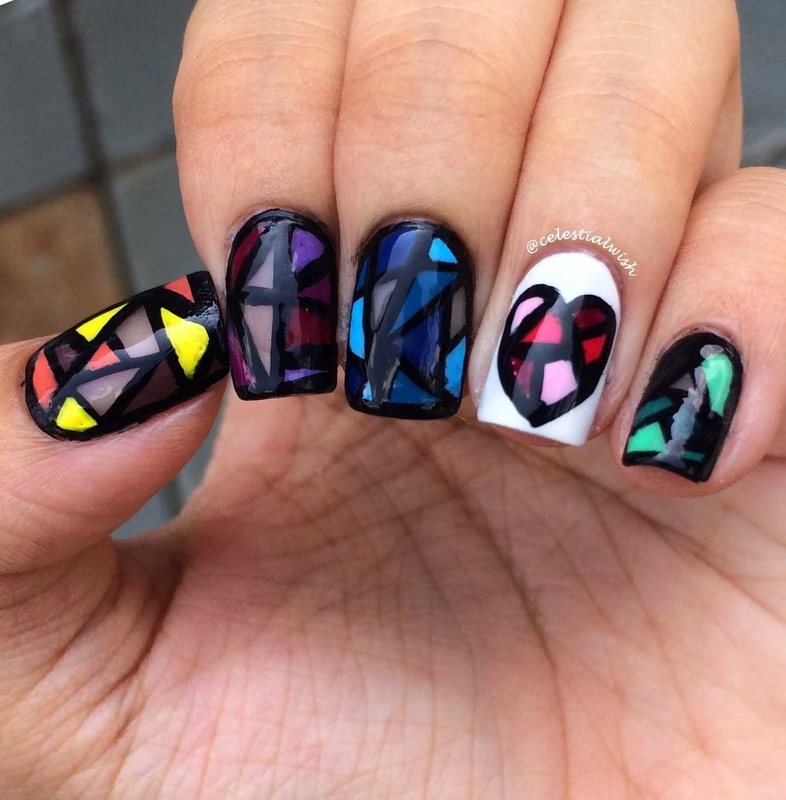 My Stained Glass mani indoors! So lovely! This is an awesome look/technique! Thank you! :D You can try to create this look too! Super fun and easy to do! But it will take some patience!